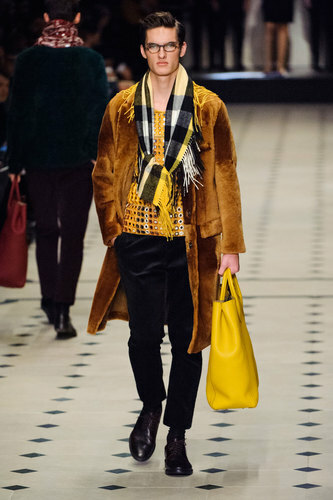 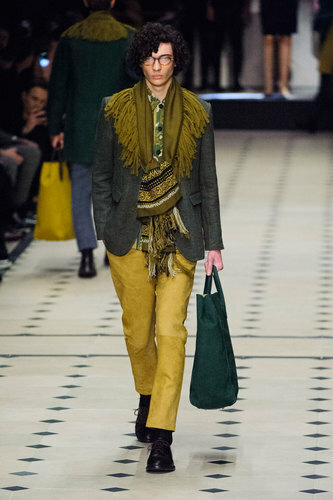 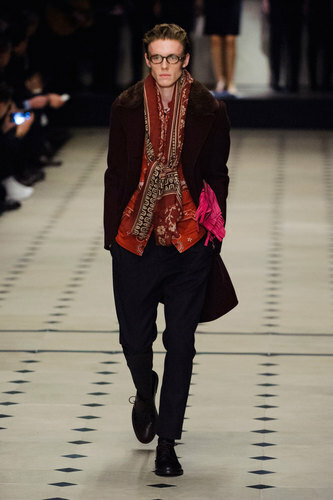 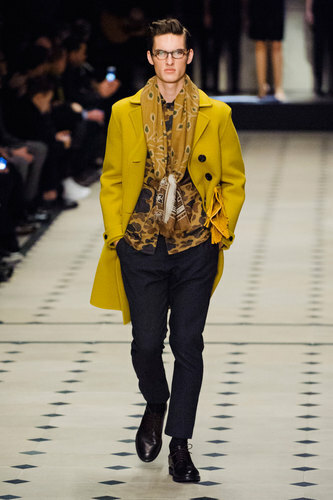 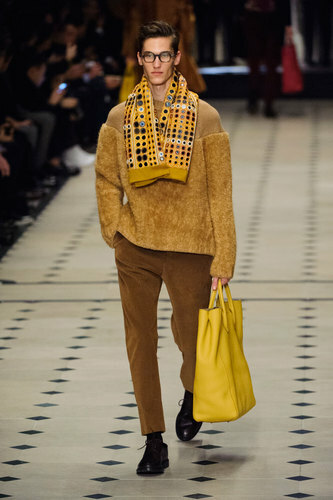 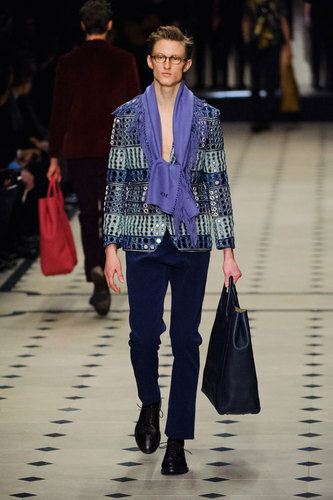 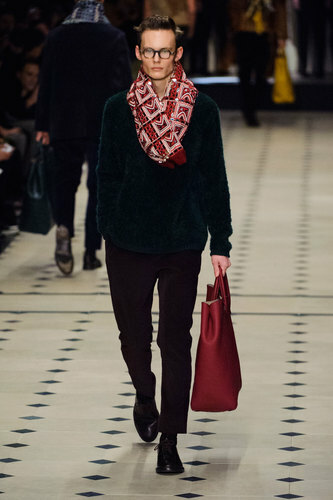 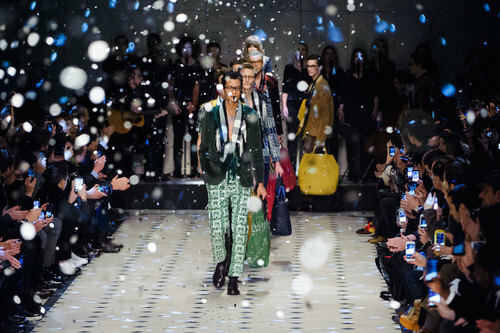 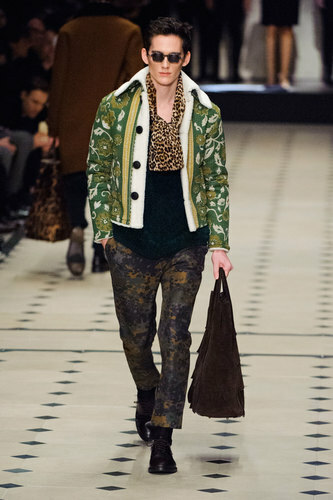 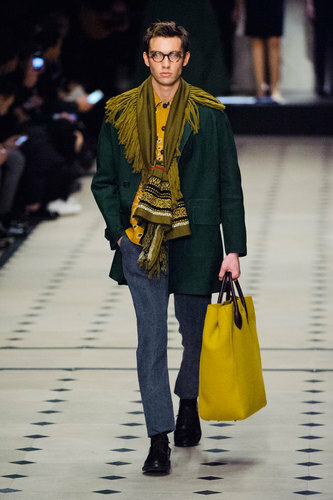 Autumn-Winter 2015/16 – Burberry Prorsum latest Menswear show is a pleasure for the sight: 40 different garments disclosed in a colorful and joyful collection. 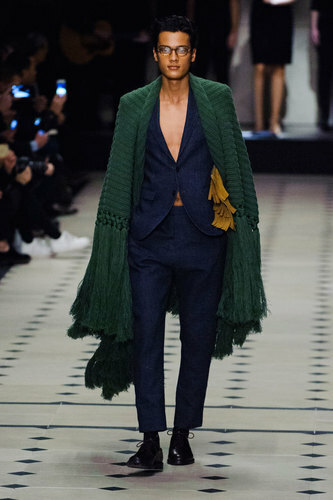 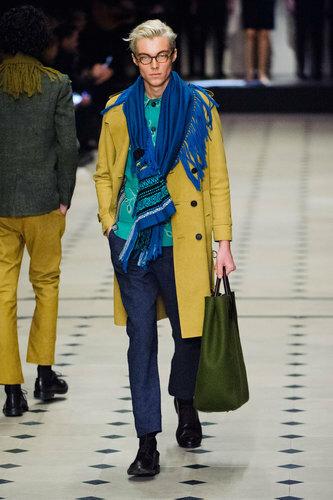 The scarf is the inevitable accessory leading every outfit. 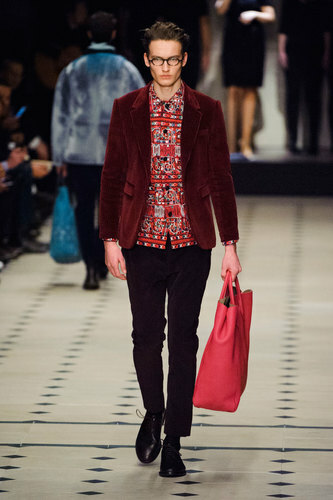 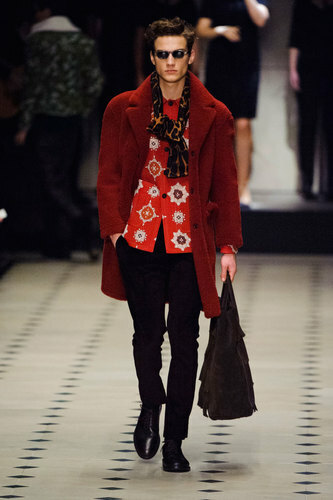 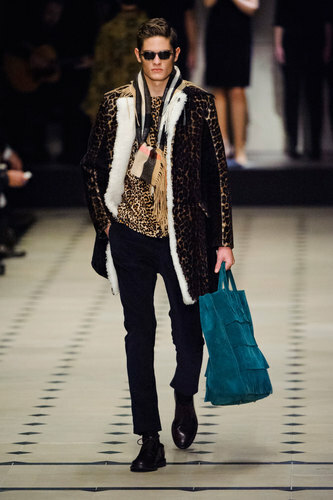 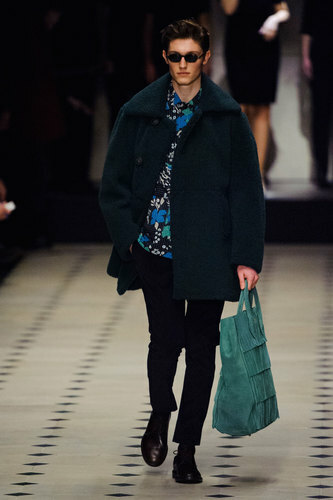 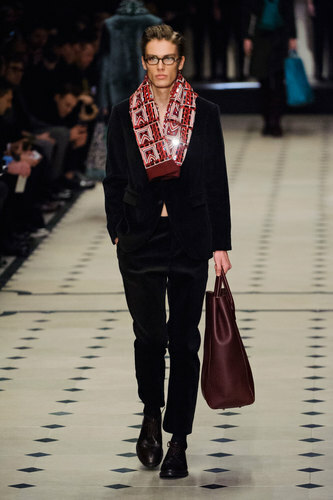 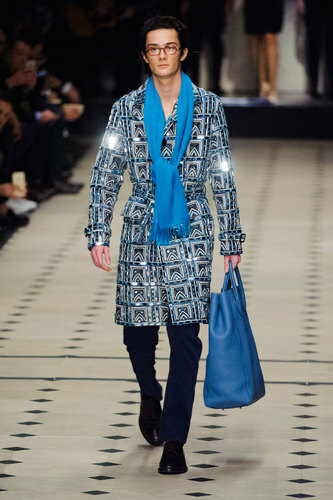 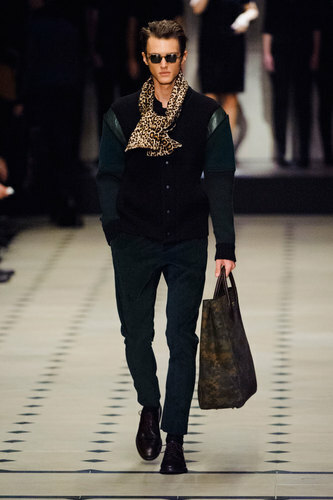 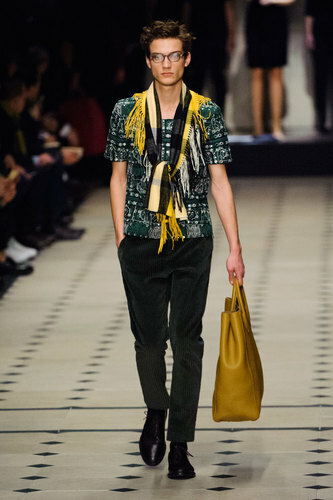 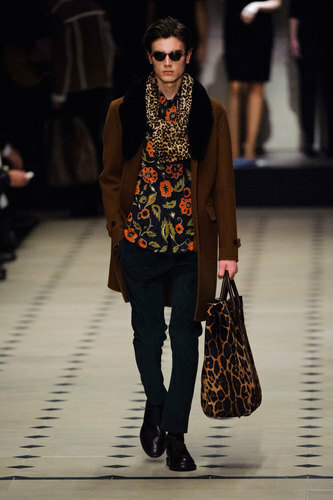 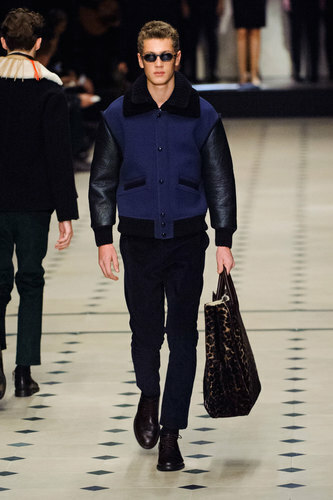 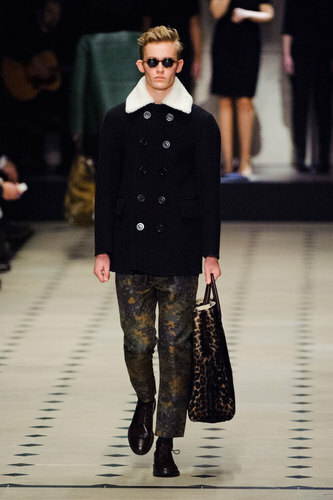 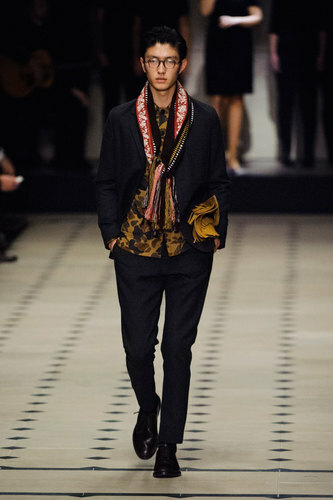 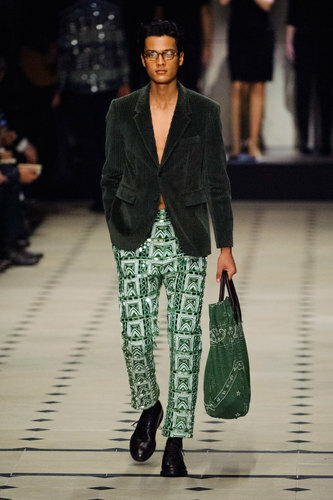 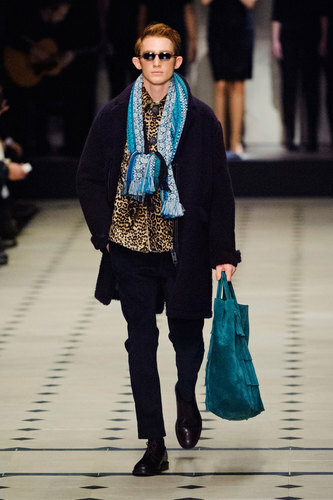 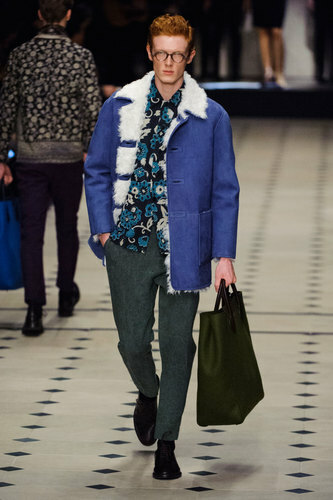 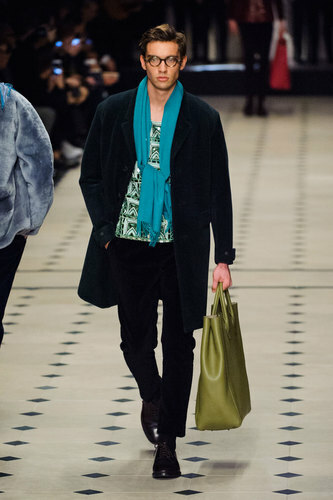 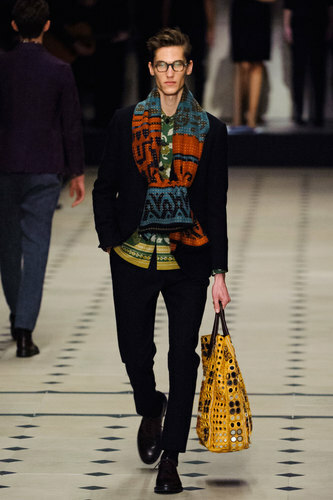 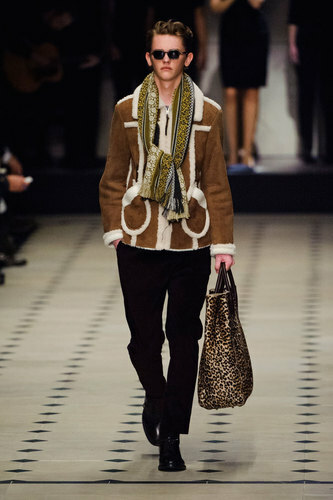 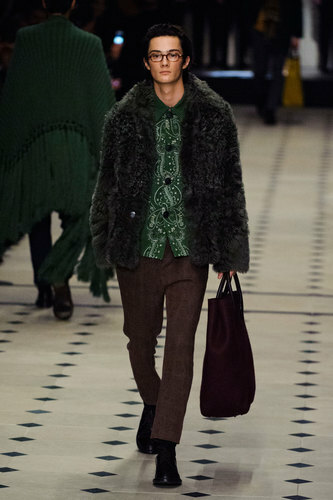 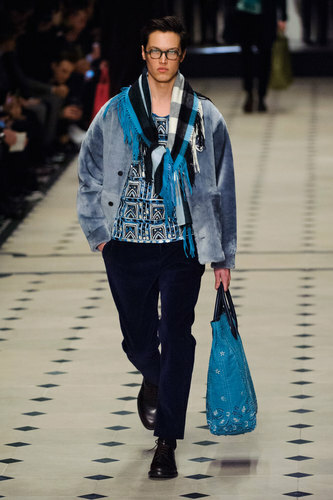 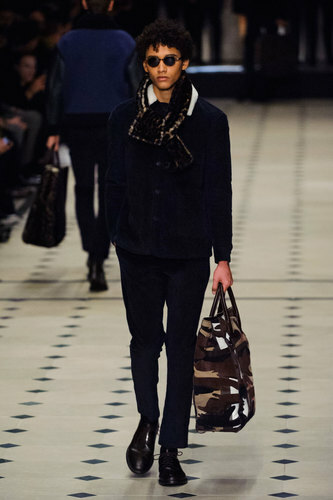 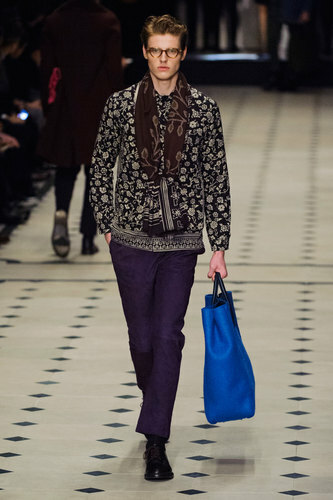 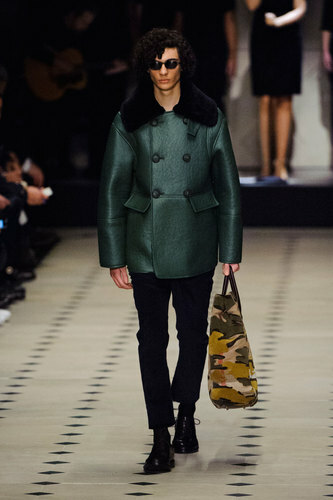 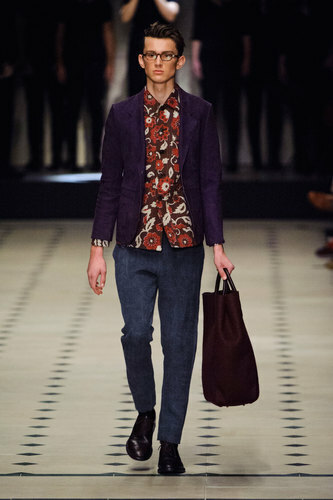 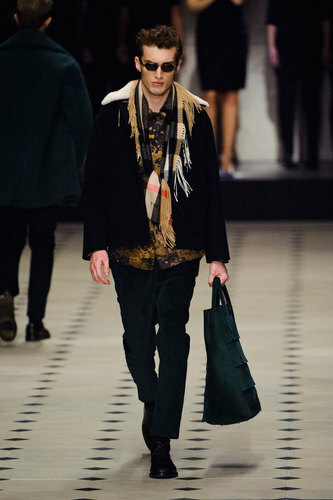 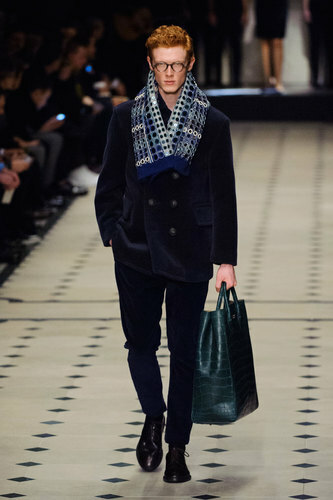 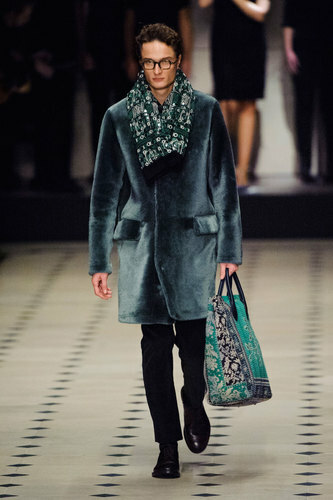 Different prints, textiles and shapes were used by the English brand to enrich the men looks. 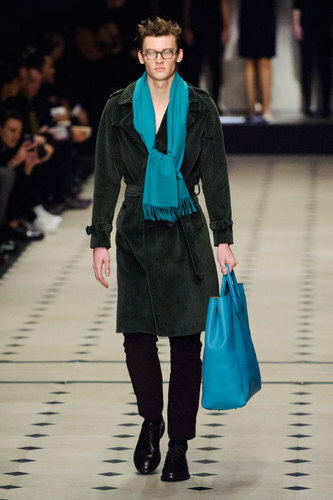 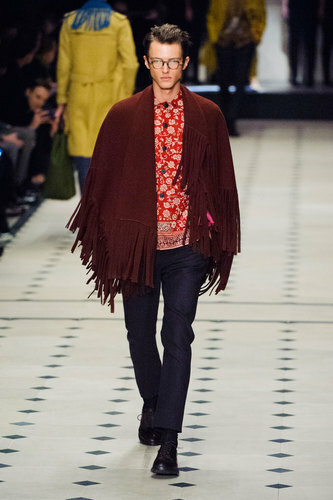 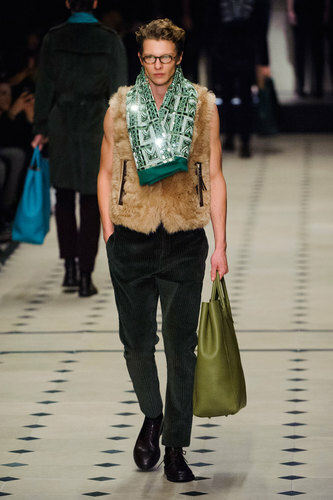 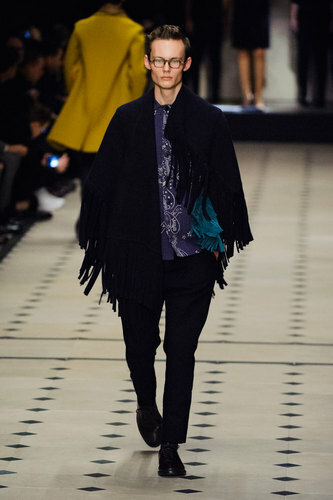 Fringed ponchos and tote bags give the Burberry models a feminine feeling. 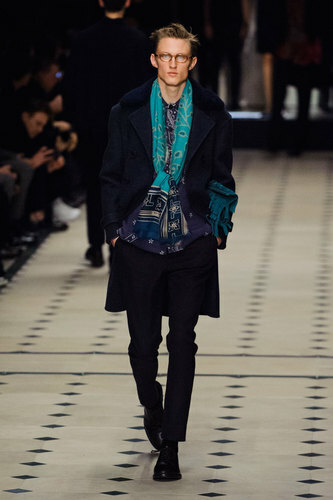 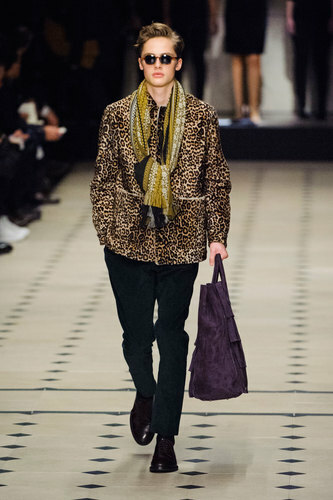 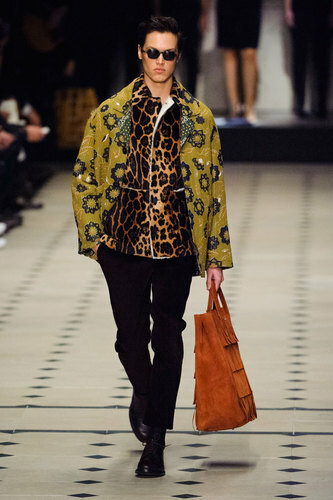 A wide choice in the color range and in the prints selection: exotic patterns, batik references and the classic revisited Burberry textile. 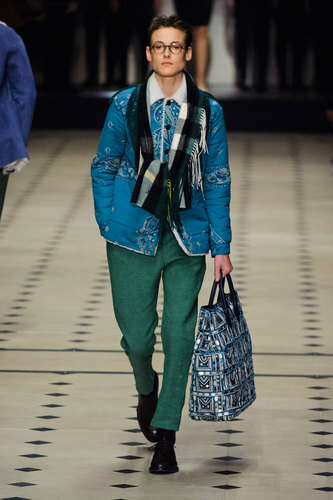 You can glimpse a touch of Spring fresh air. 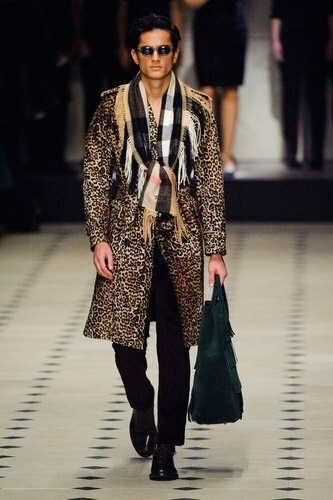 We could not miss few pieces produced in animal prints. 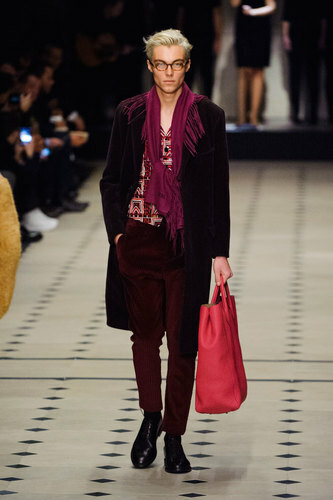 Corduroy is one of the main features for this AW15 where Burberry relies on classic shapes garnished by eclectic accessories.